Spectrum Plastics Group is an ISO 13485 registered medical plastics manufacturer of extruded, injection-molded, machine-finished, and sub-assembly solutions. The company's global footprint and medical Class 7 and Class 8 cleanrooms in the United States, Mexico, Costa Rica, Ireland, and Malaysia supply thermoplastic and silicone tubing, catheters, injection-molded components, implantable devices, medical packaging, and finished devices. 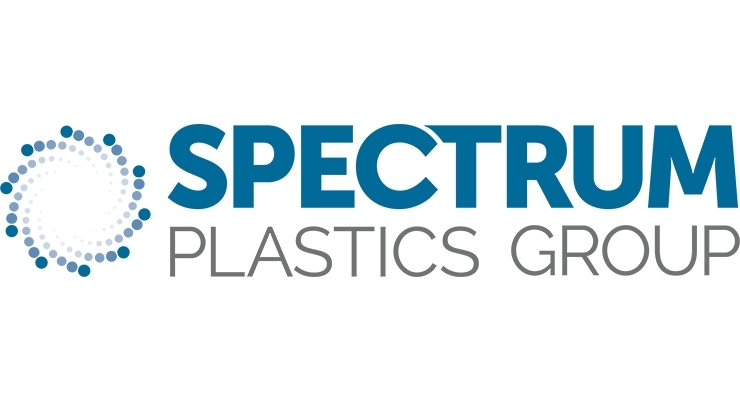 Spectrum Plastics Group is an ISO 13485 registered medical plastics manufacturer of extruded, injection-molded, machineﬁnished, and sub-assembly solutions. The company’s global footprint and medical Class 7 and Class 8 cleanrooms in the United States, Mexico, Costa Rica, Ireland, and Malaysia supply thermoplastic and silicone tubing, catheters and catheter sub-assemblies, injection-molded components and implantable devices, medical ﬁlm & packaging, and a variety of value-added and device ﬁnishing services. Fluid Management, Cardiology, Vascular Access Devices, Orthopedics & Sports Medicine, Surgical Instrumentation, Wound Care, and Eye Care. Injection Molding - Our injection molded product solutions are premium, high quality component and fully assembled thermoplastics and silicone.Products include micro-, insert-, and multi-shot molded components and assemblies. We are a major supplier to orthopedic, dental, sports medicine, surgical and medical device market customers. Spectrum Plastics Group is a recognized leader in manufacturing and converting engineered, high temperature and performance medical plastics, including implantable and bioresorbable materials. Catheter Design, Development, and Assembly - Spectrum Plastics Group specializes in providing advanced catheter solutions through the combination of various technologies including precision extrusion, coil/braid reinforced shafts, steerable catheters and secondary operations. Spectrum Plastic engineers have designed and built some of the most sophisticated catheter sets for the most advanced companies in the medical device world. Value-Added Assemblies & Finishing Services - Offering expert capabilities at every step of the manufacturing process — from concept to full scale production, and sterilization — Spectrum Plastics is your trusted partner for medical device components and value-added assemblies. We deliver results to leading medical device companies around the globe. for components, sub-assemblies & value-added solutions for the medical device & contract manufacturing industries. The highest quality high pressure braided tubing for vascular balloon inflation, contrast injection and vacuum procedures. The development of new products always has unknown issues when it comes to performance, compatibility of materials, shelf life and aging. The highest quality high pressure braided tubing for vascular balloon inﬂation, contrast injection and vacuum procedures. We have a legacy of innovation in vascular access devices including dilators and sheaths. Optimized Designs for Torque, Pushability, Flexibility and Kink Resistance. Our doors are open to R&D Engineers seeking a hands-on collaborative design experience.